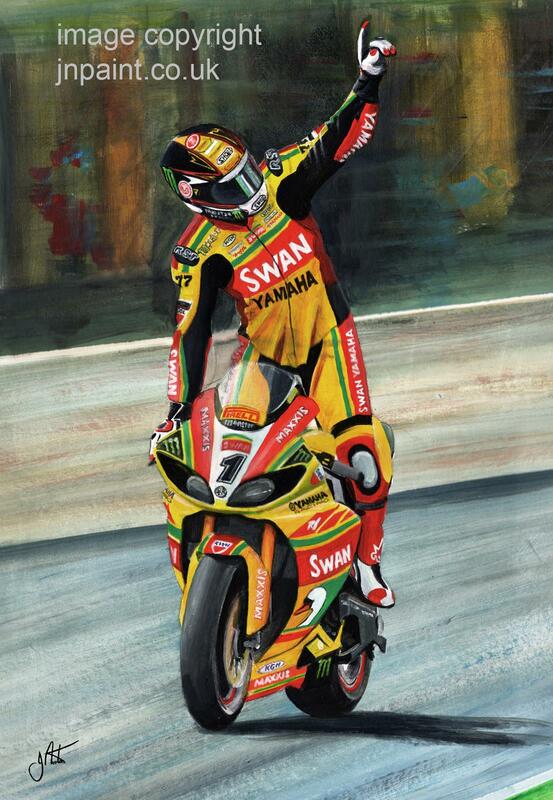 Tommy Hill on the Swan Matches sposored Yamaha celebrates victory at the 2012 British Superbike Round at Oulton Park 2012. 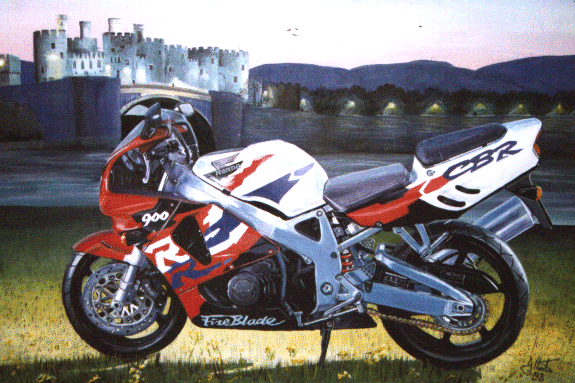 A commission of a Honda CBR Firebird. Prints are not available of this painting. Prints are not available of this painting. 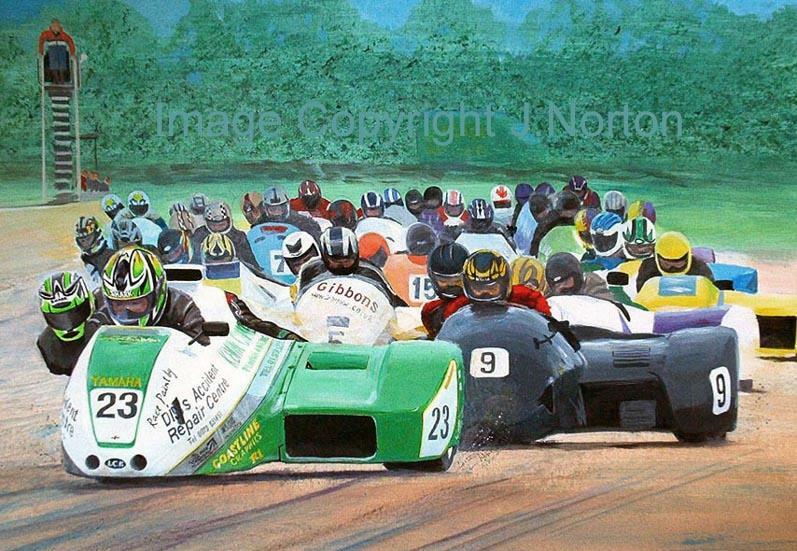 A commission of a sidecar race at Snetterton. 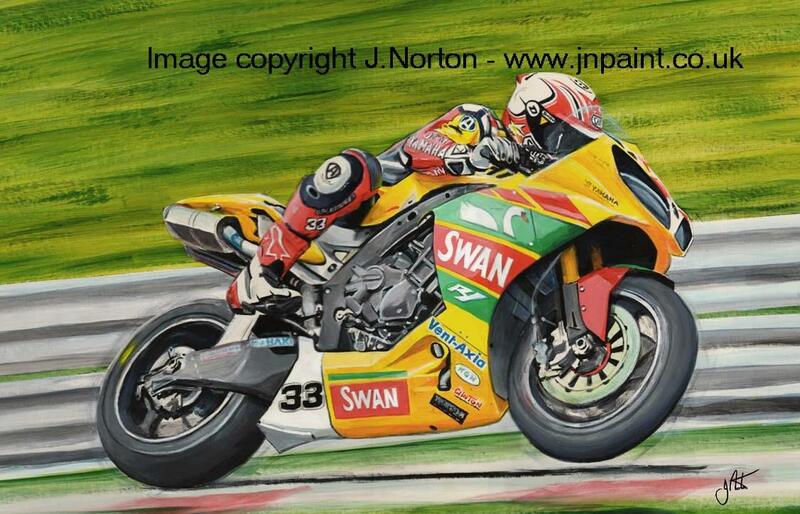 Tommy Hill on the Swan Matches sposored Yamaha in the 2011 British Superbike Championship. 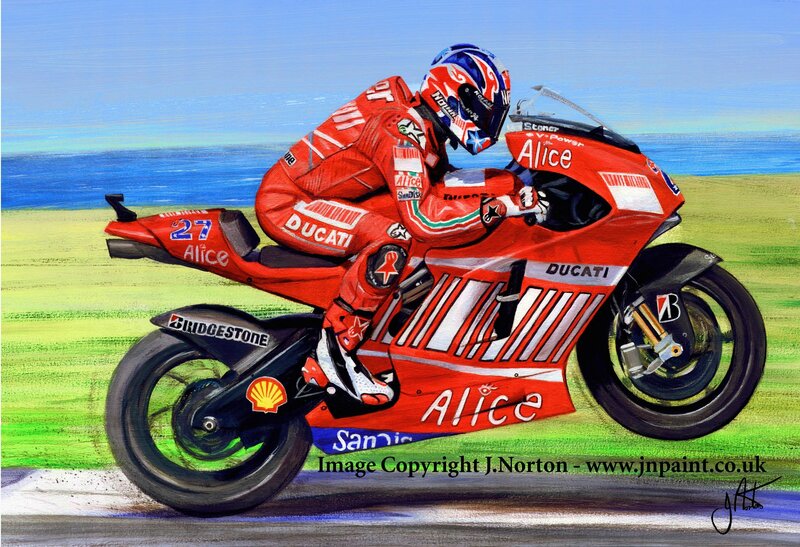 Casey Stoner wihs the 2007 Australian Grand Prix at Philip Island on his Ducati. 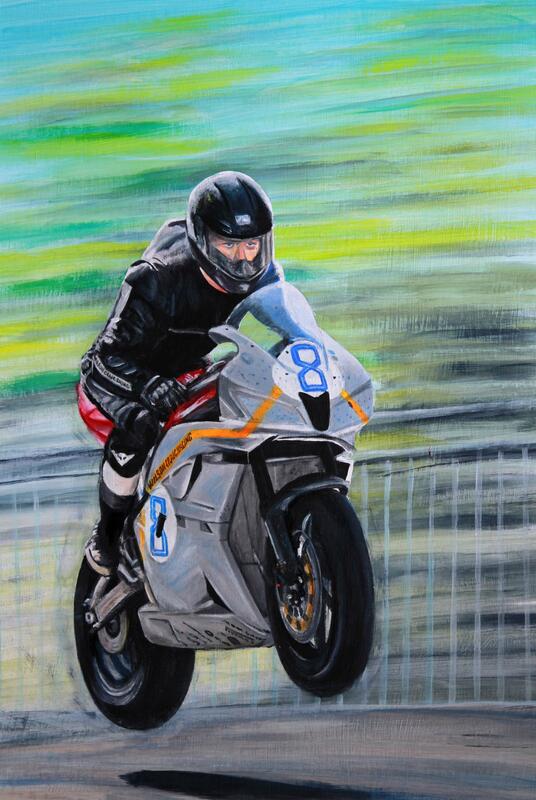 The original painting is sold..